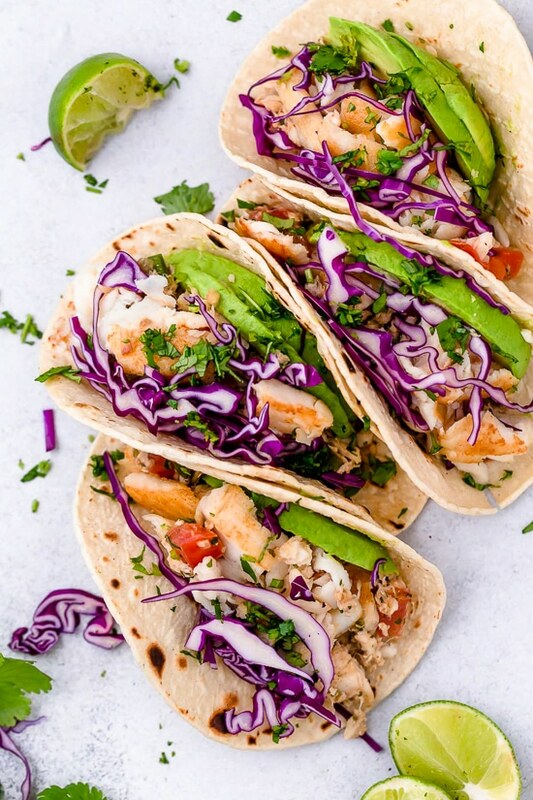 These easy Cilantro Lime Fish Tacos are made with flaky white fish, tomatoes, jalapeños, cilantro and lime topped with avocado. Tommy doesn’t care for fish, but he loves fish tacos! A few other seafood taco recipes I love, Blackened Fish Tacos, Shrimp Scampi Tacos and Green Scallop Tacos.